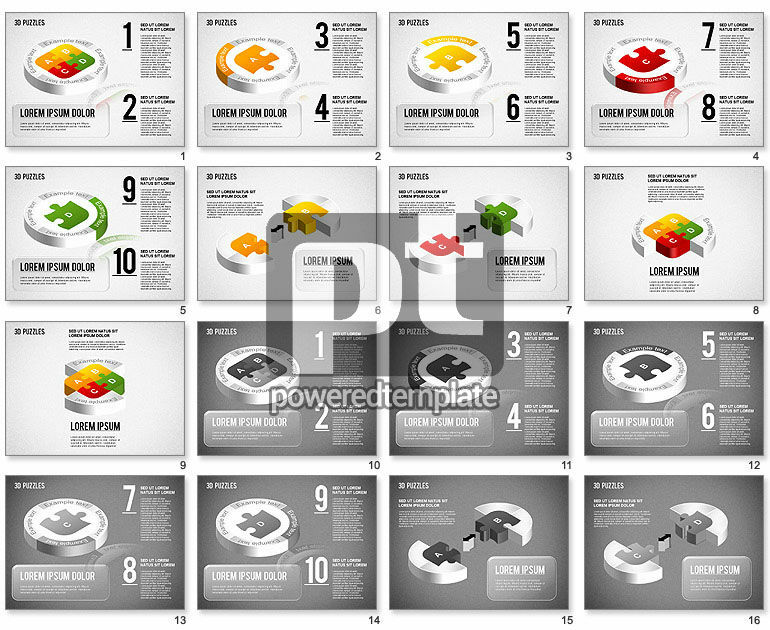 These presentation slides 40625 are complete compatible with Google Slides. Simple download PPTX and open the template in Google Slides. This stylish laconic 3-D Puzzle Stages theme is perfect for assembling, finding solutions, success and other presentations referred to such issues. It features rather minimalistic but bright design, colorful elements with built in jigsaw puzzles. There are also areas for your text on two background color variants. You can use this sample in different spheres of business to gladden your audience.